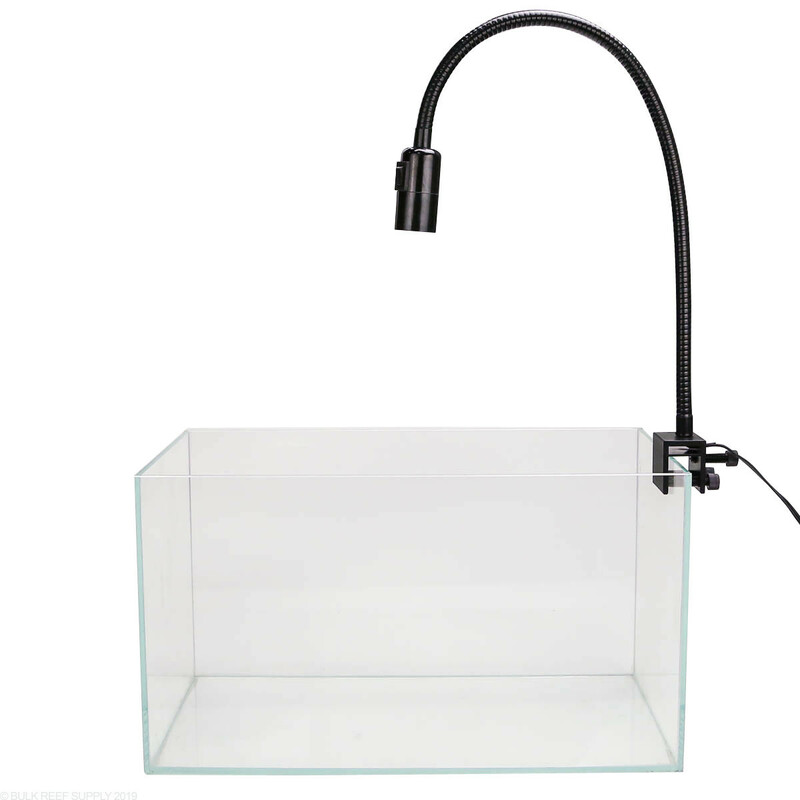 Mounting a Par 38 LED light with the RapidLED 24" Gooseneck lets you perfectly place the light over your tank or refugium. 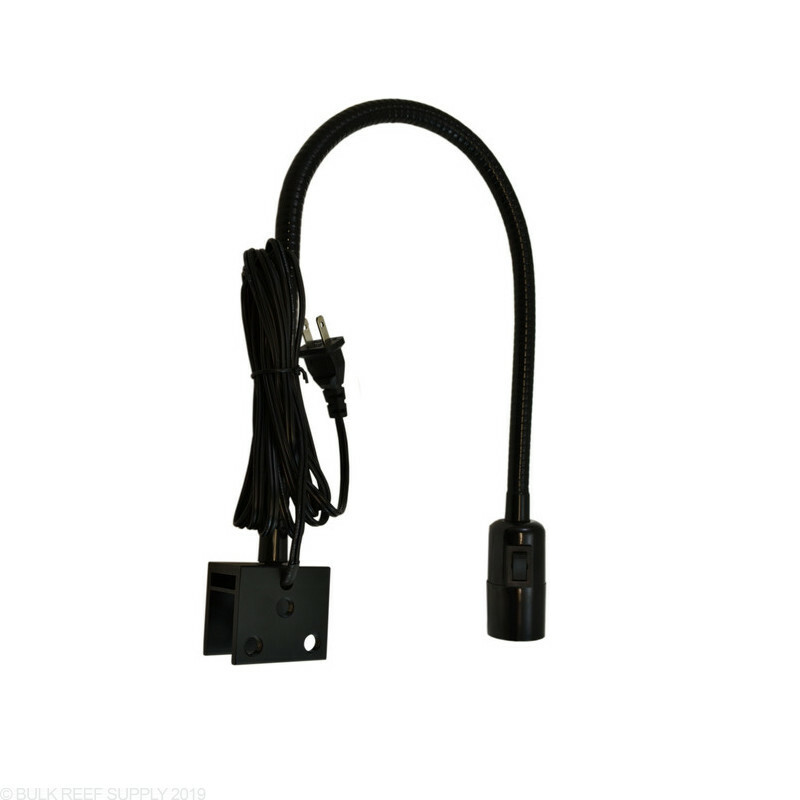 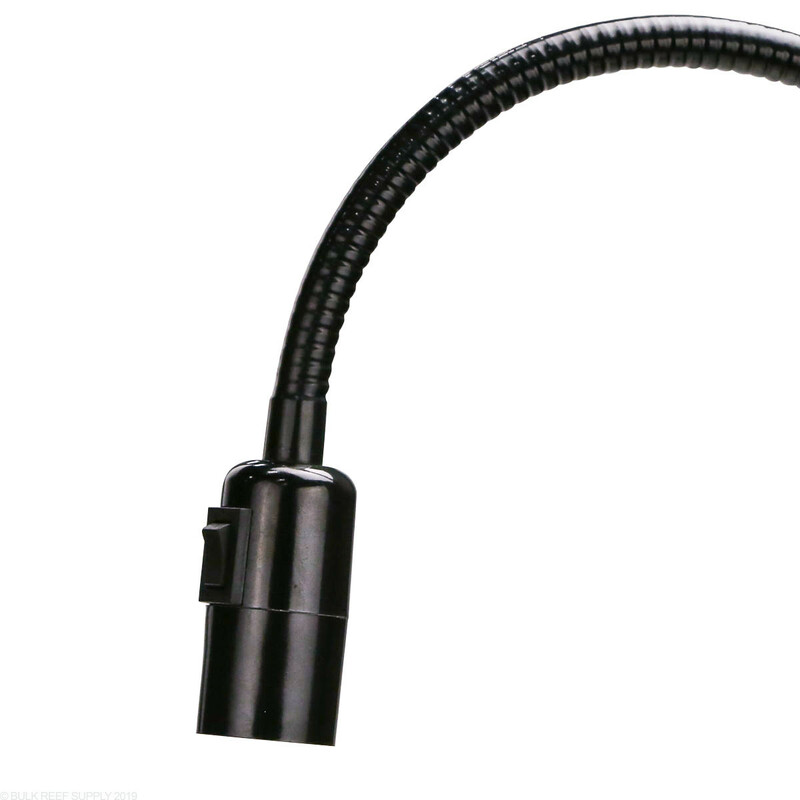 The flexible gooseneck lets standard Par 38 LED lights screw directly into the socket that includes an on/off switch and 6 foot power cord. 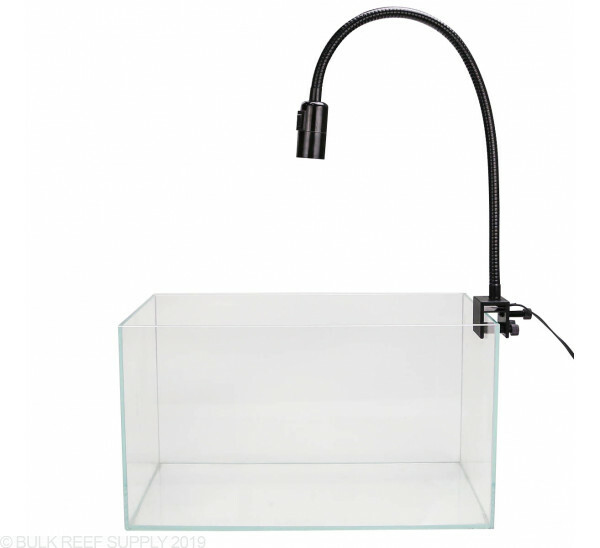 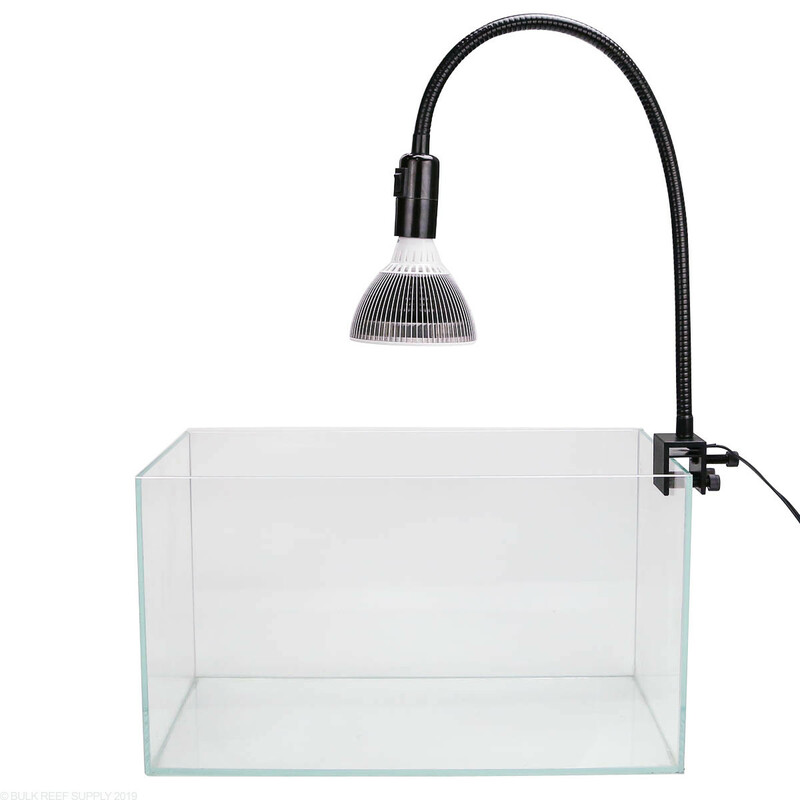 With many different sump and aquarium designs on the market, the gooseneck can be mounted on any rimmed or rimless tanks up to 1.0" thick. 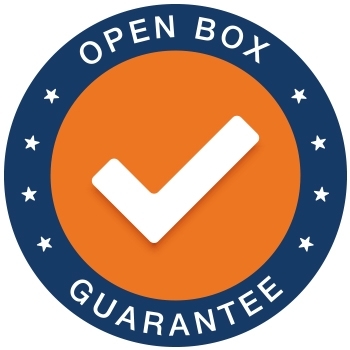 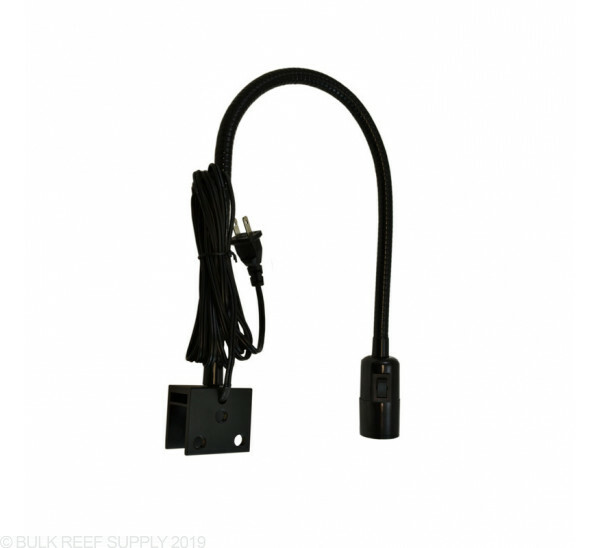 The included oversized mounting screws will secure the goosenecks clamp in place and require no tools to tighten or loosen. 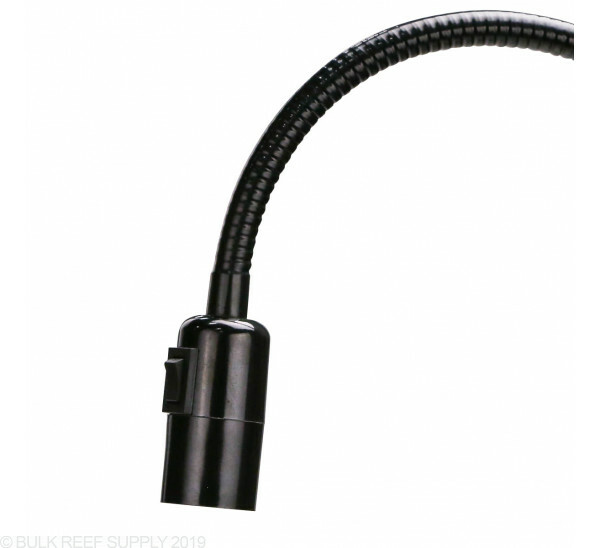 The sturdy yet flexible gooseneck lets you put your light exactly where you want it over the tank or refugium, and it will hold its place even with heavier styles of LED bulbs. 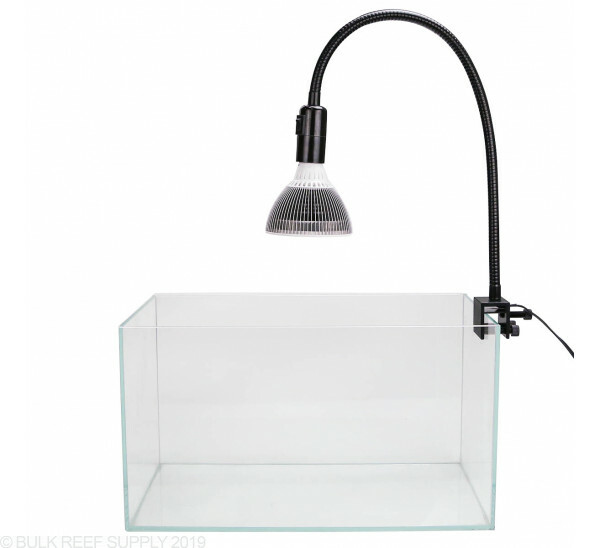 Max Tank Thickness - 1"